The one that knows it all! 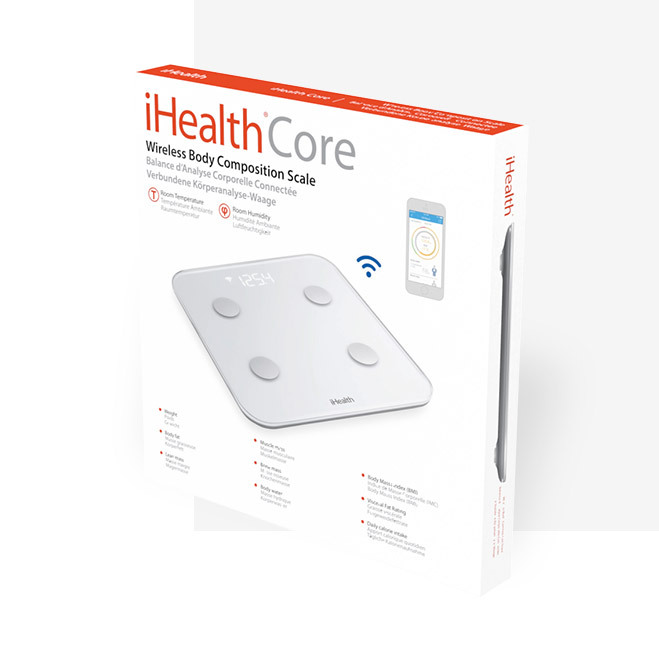 The iHealth Core body analysis scale measures weight and BMI, but also calculates body fat indices, lean body mass, muscle mass, bone mass, water mass and your visceral fat rating. 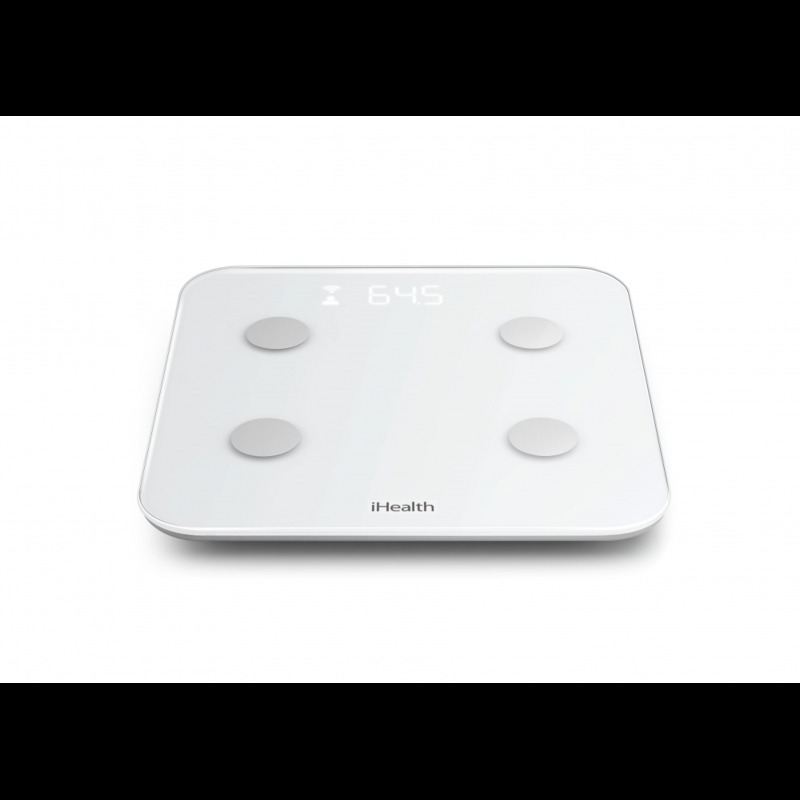 Scales that tell you everything you need to know! 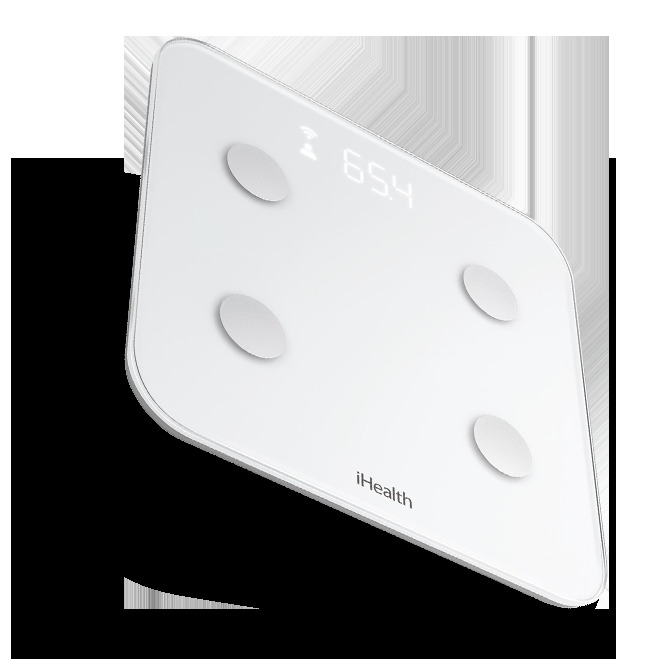 The iHealth Core connected body analysis scales measure and display your weight and body fat on their back-lit screen. 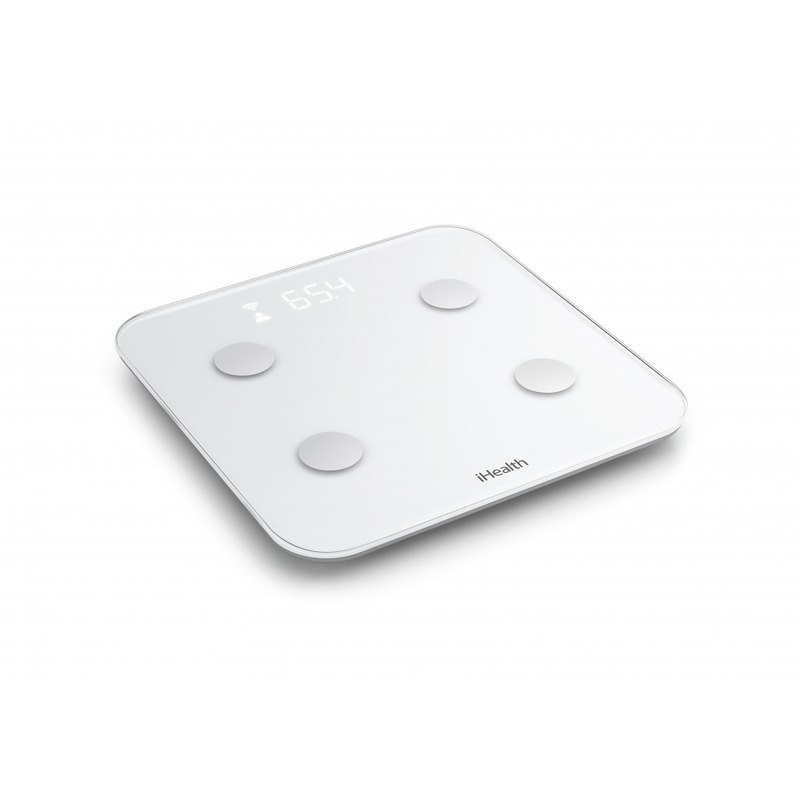 Thanks to its electrodes, these scales also calculate your BMI and various different body masses, so that you can better understand how your weight is distributed. 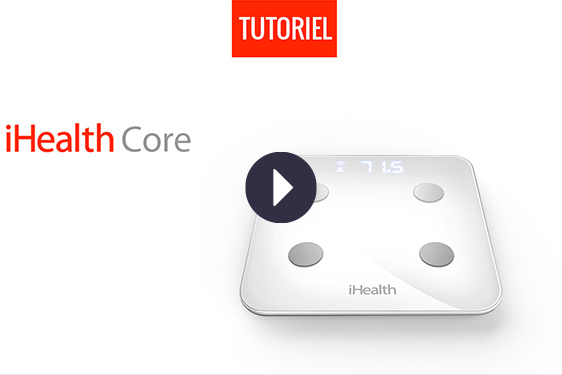 With its refined design and sleek shape, the iHealth Core scales will look great in your bathroom. 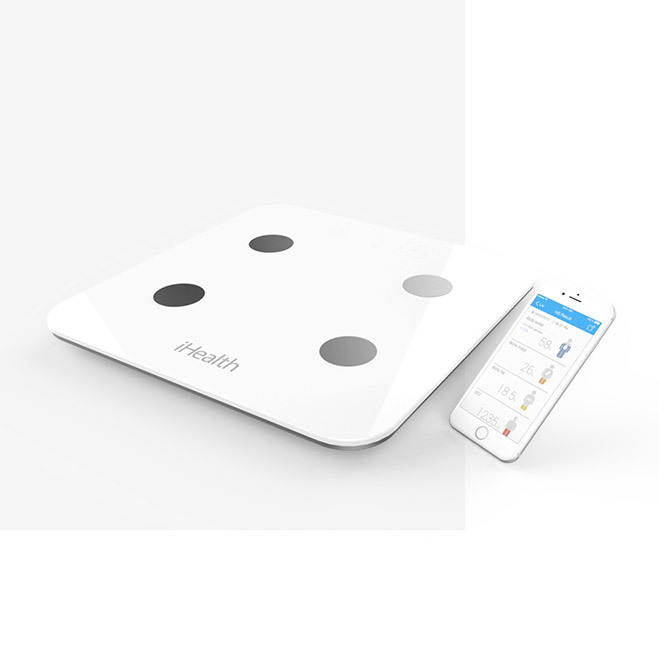 It can automatically recognise up to 10 users, so that each member of the family can create a profile and access their own data. Body fat expressed as a percentage, calculated using the quantity of fat in proportion to the weight of your body. Lean body mass expressed in kilos, calculated by subtracting the quantity of fat from your total body weight. Body fluids expressed as a percentage of your total body mass, indicating the total quantity of fluids present in the body. Muscle mass expressed in kilos, indicating the weight of the muscles in your body. Bone mass expressed in kilos, indicating the quantity of bone in your body. Visceral mass expressed as an index: fats that are found in the abdominal cavity that surrounds your vital organs. 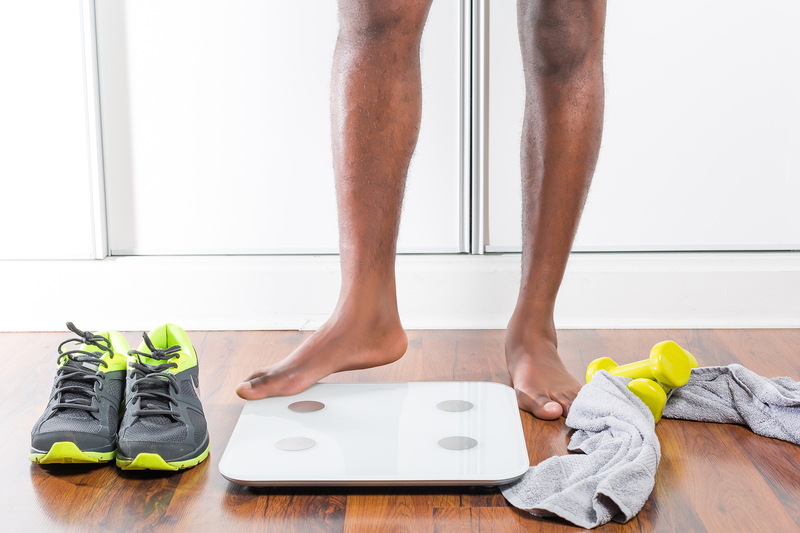 Using an algorithm, the scales calculate an estimate for your optimal daily calorie intake. The bottom left corner shows you the room temperature: it is recommended that you keep your surroundings at 21°C to feel well and avoid too much humidity, which can cause mould growth. 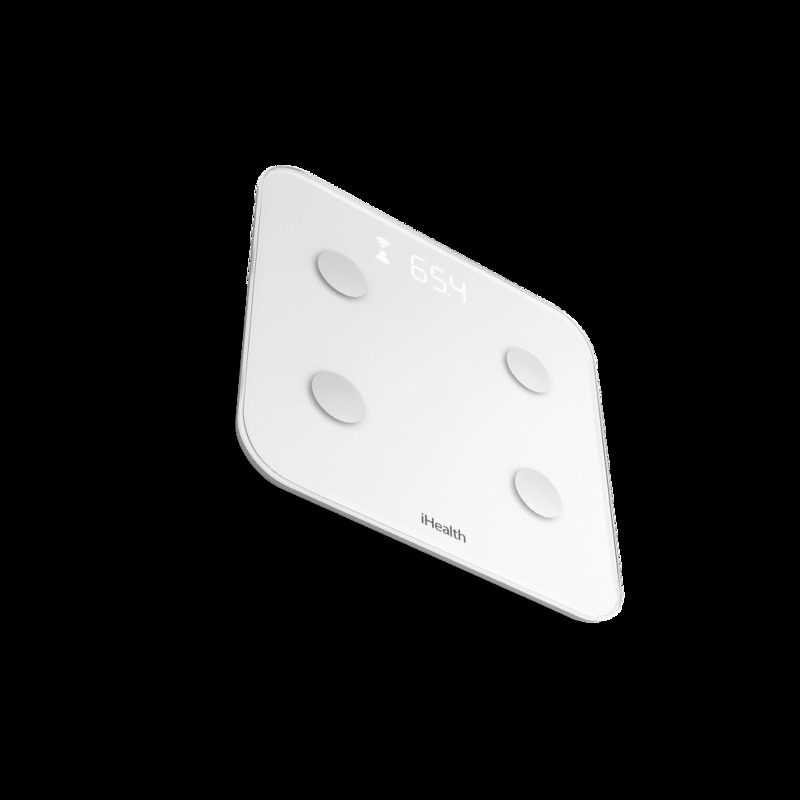 The bottom right corner shows the room’s humidity level: the ideal level should be between 40 and 60%. Once the scales are connected via wifi to our free iHealth MyVitals app, you can see how selected indicators have changed over time in graph form. View your history at any time, set yourself goals so you see the best results, and securely share them with your doctor, as well as family and friends.